Since it’s first flight in 1966, the Russian Soyuz rocket system has become the world’s most frequently used launch vehicle. With over 1,700 flights in 50 years, this Russian stalwart has hauled cosmonauts, satellites, and cargo aloft, with its relatively simple design creating an enviable reliability record. 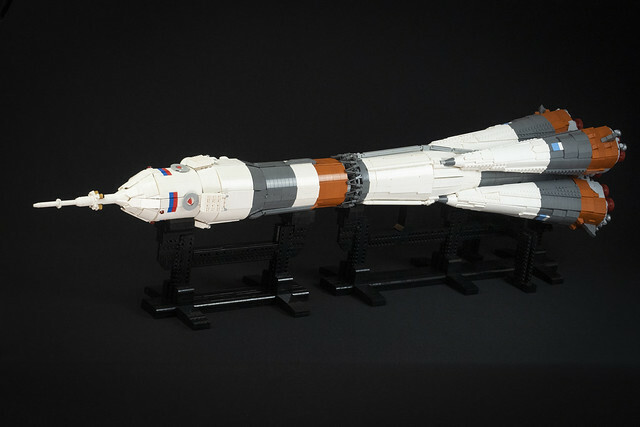 However, this LEGO version of the latest Fregat version of the Soyuz is anything but simple — Jussi Koskinen has pulled out all the stops to capture every last feature of the spacecraft’s detailing. The scale of the effort involved is impressive — the model took 18 months to put together, and measures over 1.25m. The overall structure of this massive model is excellent, and the shaping and angles on the lower boosters are particularly good. The smaller details are worth a look too — don’t miss the texturing around the base of the boosters, the scaffold-style connection between stages, and the nice integration of the Russian flag into the upper stage’s colour scheme. 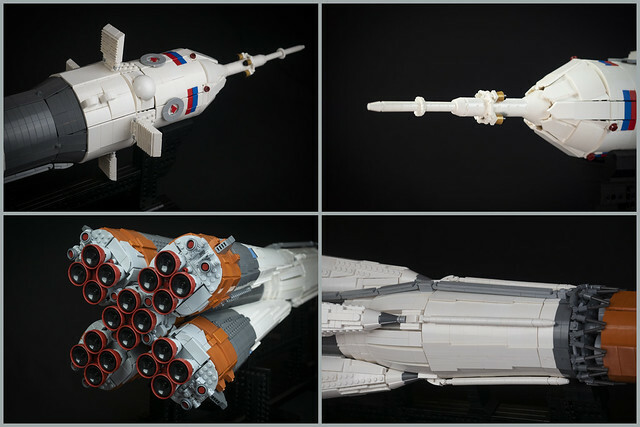 This formidable model wouldn’t look out of place on display beside the LEGO Ideas Saturn 5 set, and that’s high praise indeed.